The things we want to change in our life show up most obviously in the choices we make daily. Because of this it makes the most sense to focus our tapping work on trying to transform these choices. Even if our tapping is successful in doing this, it is often not enough to make long-term, lasting change. In addition to the choices we make moment to moment, our success is impacted by our beliefs about the world and our self-identity. 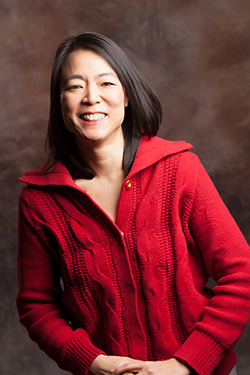 In this conversation with Adele Wang I share how we can distinguish between actions, belief, and identity. 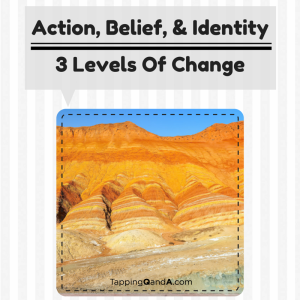 We also discuss how you can tap on each one to ensure long-term change and transformation. About Adele: Adele helps smart and sensitive women break through the stress of perfectionism and overwhelm so they can have better relationships, more professional success and better health. With an energy medicine and EFT background, she works with women to clear anxiety without the use of drugs so they can reclaim their lives and their natural feminine radiance. She is a licensed Art of Feminine Presence instructor, a frequent guest blogger on websites devoted to spirituality and consciousness, an advanced energy healer, and an EFT practitioner. She works with clients via Skype and in person in her office in Atlanta, GA.